← Kelly Rowland Secretly Married to Manager Tim Witherspoon? Ken Norton Sr., a former heavyweight boxing champion who defeated Muhammad Ali in 1973, then lost in the rematch later that year, died Wednesday at a hospital in Arizona where he had been undergoing rehabilitation since suffering a stroke last year, according to his friend and manager Patrick Tenore. Norton was 70 and had congestive heart failure. Norton broke Ali’s jaw in their initial fight, then lost at the Inglewood Forum in the rematch. 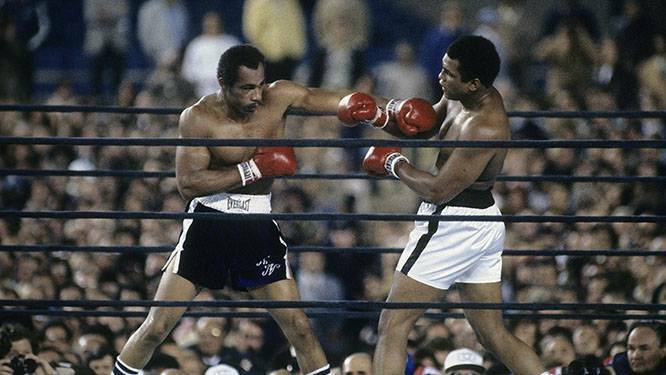 Ali defeated Norton again in a decision at Yankee Stadium in New York in 1976. In 1978, Norton won the World Boxing Council heavyweight championship when Leon Spinks chose not to fight him. He lost the title to Larry Holmes that June. Norton finished with a record of 42-7-1 and 33 knockouts. He later went on to an acting career. One of his sons, Ken Norton Jr., was a star linebacker at UCLA who played for the Dallas Cowboys in the NFL and now coaches for the Seattle Seahawks. A complete obituary will follow here. This entry was posted in Gossip and tagged arizona, athletes, boxer, boxers, death, deceased, Heavyweight, Ken Norton Sr., Muhaamad Ali, stroke. Bookmark the permalink.